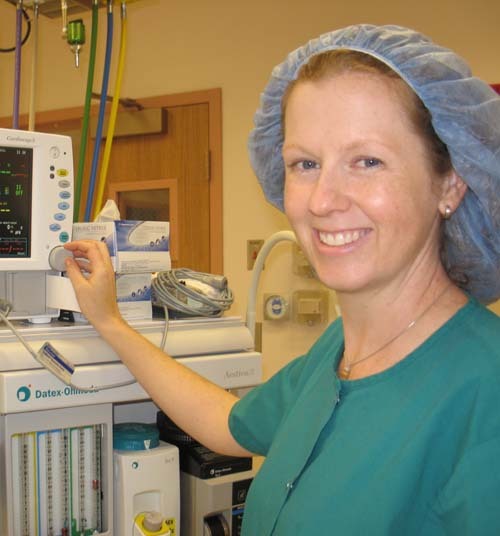 Cara Peterson administers anesthesia at JCHC. 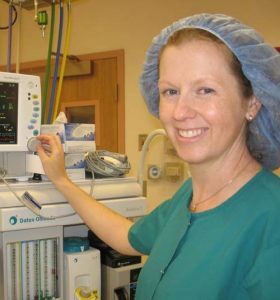 She is a Certified Registered Nurse Anesthetist at Johnson County Healthcare Center. "I really enjoy being able to use my education. It is rewarding to be able to relieve people’s pain using these skills in anesthesia."